Curves or circles? 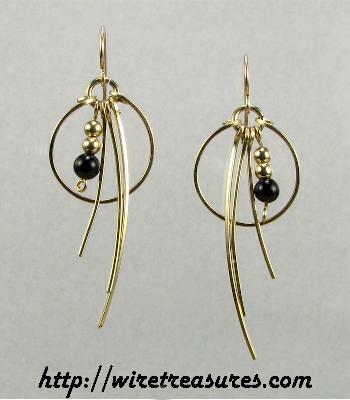 I couldn't make up my mind, so I used both to create these new 14K Gold Filled wire earrings. Each circle has three curved wires akin to hanging feathers, with two Sterling beads and a 4mm Block Onyx bead. Curves or circles? You decide! You are visitor number 3,457 to this page.